It may be nine months late, but finally the fourth of five installments of the Best of the Northwest League. A survey among the eight broadcasters in the Northwest League in 2010 has revealed their thoughts on the best team hotel in the league. 5. 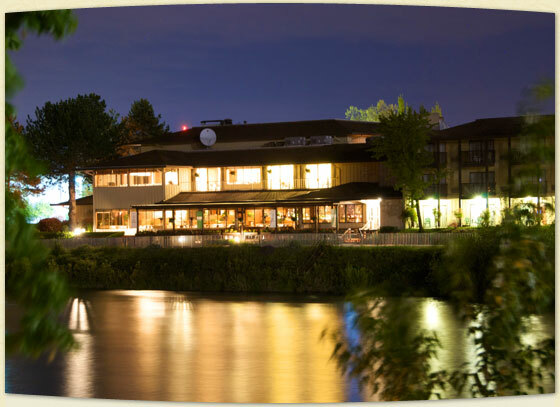 Tri-City – Another hotel that has plenty of eating options within walking distance, although it will take a couple of blocks to get there. 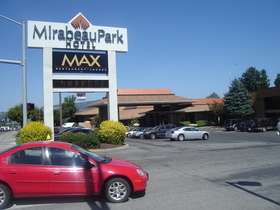 The Red Lion Columbia Center has a nice pool, large rooms – but the restaurant is not open late, and options after the game are limited to a Shari’s or an Applebee’s (if the game is completed in time). One broadcaster said, “Near a mall and the lounge is open after weekend games.” (A look at the room at the Red Lion Columbia Center – http://www.youtube.com/user/msafford34#p/u/70/qrq-1B_KF5U). 7. 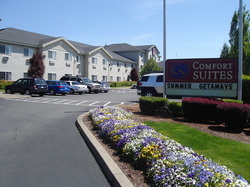 Salem-Keizer – One of the better hotels in the NWL is the Comfort Suites in Salem in terms of a hotel, but the location for a baseball team is awful. Rooms are spacious, comfy beds, good breakfast – but outside of a Denny’s a half-mile down the road, there are no eating options within a mile and a half or more. One broadcaster said, “There is truly nothing around the hotel, nothing,” while another said, “In my years in the league, it is the worst hotel in terms of hospitality (nothing around it unless you have a ride, which we don’t).” Here is a look at the walk to the eating options in Salem – http://www.youtube.com/watch?v=L4XLsgLBw6M. 20 former Hawks are on Big League rosters – as Jerry Blevins (’04/’06) and Tyler Colvin (’06) were recently sent to AAA, Geovany Soto (’02) was placed on the DL (joining Andrew Cashner (’08), John Lackey (’99), and Randy Wells (’02)), with Welington Castillo (’06) and Tony Campana (’08) getting the call to the Show. Highlights from the minor leagues include Lou Montanez (’04), who has 41 RBI already this season with the Iowa Cubs, while Ryan Flaherty (’08) and Rebel Ridling (’08) each are playing well at AA Tennessee. Rob Whitenack (’08) is a perfect 7-0 in Tennessee and has been the surprise pitcher so far this season, while Jose Ceda (’06) continues to put up zeroes at AAA New Orleans in the Florida system, notching 11 saves a 0.50 ERA in 16 appearances. Justin Bour (’09) has had a great May in Daytona, leading the D-Cubs with ten homers, 14 doubles, and 31 RBI, while last season’s Hawks closer, Aaron Kurcz (’10) has not allowed an earned run in his last four starts. 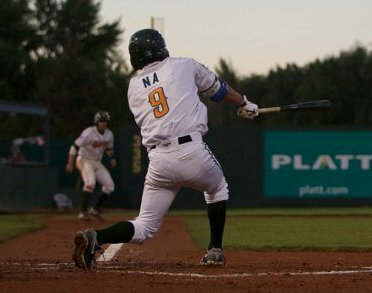 With the 2011 First Year Players Draft scheduled for June 6-8, there will be around a week for the Chicago Cubs to sign players to become members of the Boise Hawks when the team opens the season in Eugene on June 17. Therefore, the majority of the Opening Day roster will once again be comprised of a portion of the 54 man roster that is currently competing in Mesa as part of the Extended Spring Training Cactus League. Through May 16, the Extenders have compiled an 8-18-4 overall record (thanks to guru, Arizona Phil of The Cub Reporter) – not including four split-squad games at different sites. Manager Mark Johnson has had his hands full, trying to get work for a total of 30 pitchers, while six catchers have been sharing duties behind the plate. 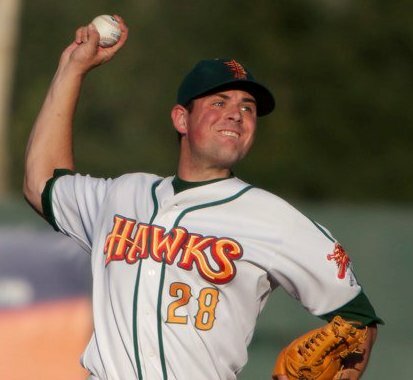 Early rotation candidates for the Hawks would include Matt Loosen (’10), who spent half of last season in Boise – having posted a 2.11 ERA in 21-plus innings of work this Spring, including a staff-high 29 strikeouts. 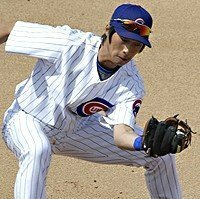 Another returner, Yao-Lin Wang (’10) has been solid and is being stretched out, posting a 4.15 ERA in 13 innings. Others could include bonus-baby Yeong-Kim Jin, who has a 5.71 ERA in 17 innings, and Jose Rosario, who has posted a solid 2.93 ERA in 15 innings. I would also expect fourth-round pick Hunter Ackerman to make the trip to Boise, as the lefty has improved as camp has progressed – logging a 3.85 ERA in nine-plus innings. Cuban defector Yaniel Cabeza has put up big numbers behind the plate – hitting .375, with three doubles, two triples, and 11 RBI so far in Mesa, while returning middle infielder Pin-Chieh Chen (’10) has recovered from a woeful 1-for-26 start to Extended to up his average to .271, adding three triples and five stolen bases. Other middle infielders in the mix include Marco Hernandez, who is hitting .260 with two homers and 12 RBI, and Vismeldy Bieneme, who is hitting .327 with gap power. 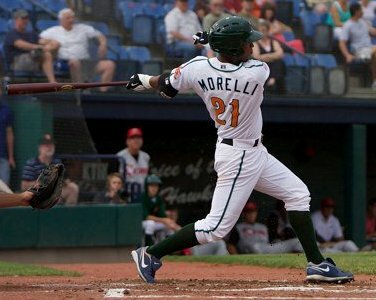 I would expect returner Jesus Morelli (’10) to make the trip to the Gem State, as he is hitting .245 with two homers and eight RBI in Mesa, along with prospects Reggie Golden, the Cubs second-round pick last season, and Dong-Yub Kim of South Korea. Golden leads the Extenders with three homers, while Kim is hitting .279 with six RBI. For a look at the possible future Boise Hawks – I have compiled (with big assists again from Arizona Phil) the current roster in Extended Spring Training (Cubs Extended Spring Training Roster – as of May 16). Many of the players are making their first trip to the United States after playing last season in the Dominican Summer League, but there are 13 former Hawks that are among the group (not including Angel Guzman (’02) and Andrew Cashner (’08), who are in Mesa rehabbing injuries. Also included are unofficial statistics from Extended Spring Training (Unofficial Extended Stats – Thru 5/16). On a day that saw Tyler Colvin (’06) sent down by the Cubs to AAA Iowa, it was the start of a new Big League career for another former Boise Hawk, as Tony Campana (’08) had his contract selected by the Cubbies – added to the 40-man roster, and made his MLB debut in Cincinnati’s 7-5 victory over Chicago. He became the third former Boise player to make his MLB debut this season and is the 84th Hawk to play in the Major Leagues. Campana entered the game in the seventh inning as a pinch runner for Alfonso Soriano and broke a 3-3 tie by scoring on a bases loaded walk. An inning later, in his first MLB at bat, he doubled down the right field line to give Chicago a 5-3 lead – but the Cubs could not close out the win. Campana, a 2008 13th Round pick out of the University of Cincinnati – was joined in Boise by college teammate Josh Harrison (’08), and was slated to be the Hawks everyday centerfielder, was injured on a slide into second base on Opening Night and spent the rest of his rookie season rehabbing in Mesa. From the 2009 season on, the 5-8 speedster has excelled at every rung in the ladder in the minor leagues – having stolen 144 bases in the last three seasons, earning Southern League All-Star honors in 2010. He was tearing up the Pacific Coast League this year, hitting .342 in the leadoff role for the I-Cubs, with eight doubles and two triples. MORE ROSTER MOVES: Multiple roster moves have occurred around the organization in the last week – including Welington Castillo (’06) being promoted to Chicago, as Geovany Soto (’02) was placed on the 15-Day DL, and will serve as a back-up to Koyie Hill. 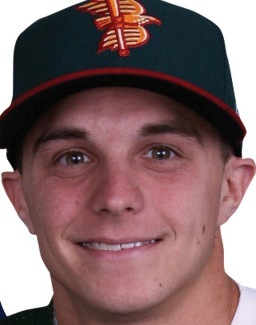 With Castillo’s departure, Steve Clevenger (’06/’07) was called up to AAA Iowa. At AA Tennessee, both Brett Jackson (’09) and Jim Adduci were placed on the 7-Day DL, allowing Kyung-Min Na (’10) a two-day cameo with the Smokies, before Jae-Hoon Ha (’09) earned the promotion after a great start with Daytona. Another former Hawk, Luis Flores (’08) was called up from Daytona to Tennessee to replace Clevenger. 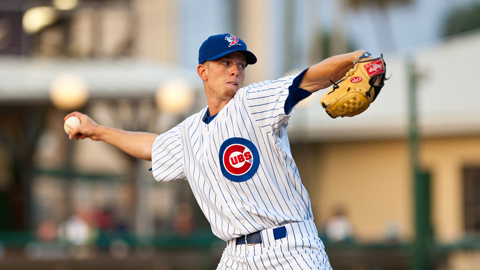 Chad Noble (’10) was promoted from Extended Spring Training to Daytona to replace Flores, while Dustin Harrington (’10) also made the long trek from Mesa to the D-Cubs. Following his trip to AA, Na went north to Peoria to take over centerfield duties, while Ryan Cuneo (’10) has been assigned to the Chiefs from Extended – after playing in just five games down in Mesa this spring. A sad day for the State of Idaho, as legendary baseball player Harmon Killebrew passed away this morning at the age of 74 after a valiant battle with esophageal cancer. The “Killer” – who grew up in Payette, began his MLB career at the age of 17 with the Washington Senators, before the franchise moved to Minnesota in 1961 – finishing with 573 home runs in his Hall of Fame career. 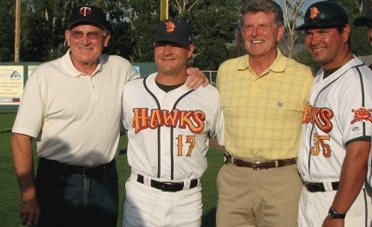 Members of the Boise Hawks staff had the opportunity to spend some time with Killebrew during the 2009 season, as he joined Bill Buckner as part of Republican Party night at Memorial Stadium – as Governor Butch Otter was to throw the ceremonial first pitch to the “Killer”, but instead, intentionally walked him. Some post weekend News and Notes – saw that a few more former Boise Hawks have been signed to contracts in the independent leagues, as indy ball starts up for real in the next week or so. 2010 All-Star OF Alvaro Ramirez has signed with the Normal Cornbelters of the Frontier League, Luke Sommer (’08) has signed with the Somerset Patriots of the Atlantic League, while Steve Grife (’09/’10) signed with the Lake County Captains in the North American League. Jerry Blevins (’04/’06) was sent to AAA Sacramento last week by the Oakland Athletics after struggling with his command in his last six outings, while Rich Hill (’02/’03) was promoted by from AAA Pawtucket by the Boston Red Sox and even got a cameo last night on Sunday Night Baseball (was warming up in the pen next to Josh Bard – Bard and Jonathan Papelbon got the relief calls). The weekend also saw the launching of the newest social media outlet for Hawks Radio Broadcasts in 2011. 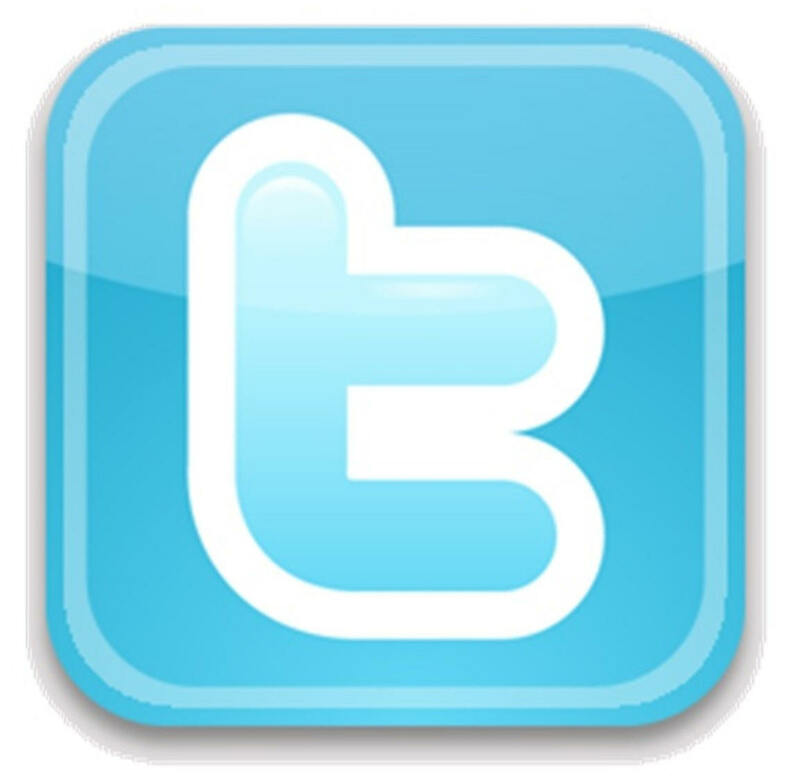 I have created a Twitter account, so fans can get the latest, up-to-the-minute information regarding the team – without waiting to read something online or in the newspaper. Follow us at http://www.twitter.com/BoiseHawksRadio and get up-to-the-minute news and notes from the radio booth. Friday the 13th was also a gloomy day for one of my favorite spots in the NWL, Yakima, as the Bears’ ownership group announced their intentions to move the team to Vancouver, Wash., in 2012. If passed, a new 3,500-seat ball park will be built in Vancouver through the same a public-private venture that the Hawks front-office has talked about in the process of trying to build a new park in the Treasure Valley. The Vancouver venture would tack a 5% entertainment tax on all entertainment outlets (movie theaters, fairs, concerts, games, etc.) to help build the new stadium, which would be shared by high schools and Clark Community College. It will make our two trips to the Palm Springs of Washington that much more special this summer – and will be interesting to see how the fans in the Yakima Valley react at the gate. 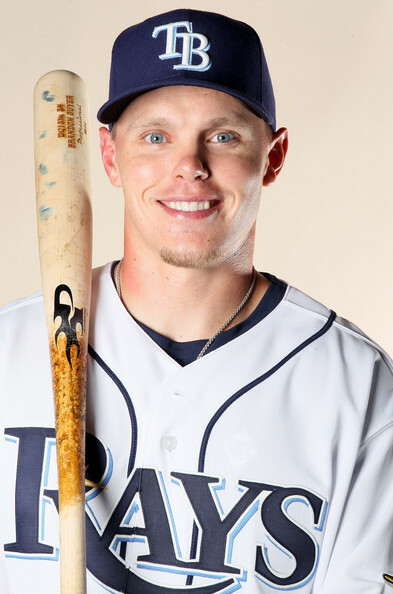 Brandon Guyer became the 83rd former Boise Hawk to play in the Major Leagues, make a big splash in his debut in the Tampa Bay Rays 6-2 victory over Baltimore at Tropicana Field. Guyer, who played 19 games with the Hawks in 2007, hitting .268 with 14 RBI – launched a two-run home run off Zach Britton in his first MLB at bat. The former University of Virginia standout was part of the trade with the Rays that sent Matt Garza to Chicago – but TB received Sam Fuld, Guyer, and prospects Robinson Chirinos, Chris Archer, and Hak-Ju Lee. Guyer was hitting .356 with six homers and 18 RBI before his call up. He joins Al Alburquerque as former Hawks who have made their MLB debut in 2011. A month has now went by the wayside in the 2011 baseball season, and for former Boise Hawks, the comings and goings have been at a whirlwind pace. You can view the entire list of over 120 former Hawks in pro ball by clicking the following link Alumni Report 5-4-11. Over the last week – two former Hawks were recalled from the minor leagues – Alfredo Amezaga (’99) got the call up from the Rockies, and Rich Hill (’02/’03) got the call from the Red Sox (just after the Alumni Report was complete – so he is not indicated on the list). Amezaga was hot at AAA Colorado Springs, hitting nearly .400 in his time in the Pacific Coast League, while Hill, a former Cubs starter, has retooled himself as a lefty reliever, going 1-0 with a 1.13 ERA at Pawtucket before the trip to Fenway Park, where he tossed an inning and two-thirds of scoreless relief on Thursday. Others on the radar are Ronnie “Bear” Bay (’03), who was signed by the Angels and is in the rotation at AAA Salt Lake, while Erik Hamren (“08) was signed by the Padres and is a set-up man at Advanced-A Lake Elsinore. The goings have also happened, as former Hawks pitcher (and catcher) Jake Muyco (’05/’08) and pitcher Luke Sommer (’08) have been released by the Cubs. Though the position players in the big leagues have struggled, former Boise pitchers have had a great start to 2011. Ricky Nolasco (’02) is 3-0 with a 3.35 ERA for Florida, while out of the pen, Francisco Rodriguez (’99) has put the rocky end of last season behind him, going 1-0 with six saves for the struggling Mets. Rookie Al Alburquerque (’07) has struck out 16 men in just nine-plus innings for the Tigers, the Cubs’ Jeff Samardzija (’06) has found his form from 2008, posting a 2.45 ERA in 18 innings, while Sean Marshall (’03) continues to be one of the top set-up men in the NL, recording a 0.75 ERA for the Cubs in 13 appearances. At the AAA level, Andy Sisco (’02) has resurrected his career after three injury plagued seasons, not allowing a run in 11 appearances for Scranton Wilkes-Barre in the Yankees organization, while Jose Ceda (’06) looks to be getting into shape in New Orleans, recording a 0.69 ERA and six saves in 11 appearances, hoping to get a call-up from Florida. Dontrelle Willis (’01) continues to throw well for the Reds affiliate in Louisville, recording a 2-1 record and a 2.10 ERA in five starts for the Bats. Brandon Guyer (’07) leads all position players, hitting .370 with six homers and 18 RBI for Durham in the Tampa Bay organization (after being traded with Robinson Chirinos, Chris Archer, Sam Fuld, and Hak-Ju Lee in the Matt Garza deal), while Cubs’ free agent Lou Montanez (’04) has tore up the Pacific Coast League, hitting .393 with 28 RBI with the I-Cubs. At AAA, despite the Tennessee Smokies hitting a bump in the road in the W-L column – sit in second place in the Southern League North, the hits continue for former Hawks. Rebel Ridling (’08) has seen time at first base and the outfield, hitting .373 with five homers and 18 RBI, Ryan Flaherty (’08) has found his power stroke, leading the Smokies with seven home runs and 22 RBI, while Steve Clevenger (’06/’07) continues to produce for the fifth-straight year, hitting .360 with three homers and 16 RBI. On the mound, Robert Whitenack (’09) has been the pleasant surprise, going 3-0 at Daytona before being called up to AA, making two quality starts with the Smokies. 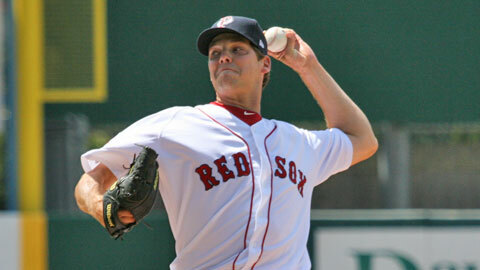 Also throwing well is Darin Downs (’04/’05/’06), who is 1-1 with a 3.41 ERA at Jacksonville in the Marlins organization. At Advanced-A, Hak-Ju Lee (’09) continues to be one of the premier youngsters in the game, hitting .410 for Charlotte in the Tampa organzation, while Justin Bour (’09) has had a great last two weeks, upping his average to .258 with six homers for the D-Cubs. Teammate Jae-Hoon Ha (’09) has continued to have a great season, hitting .340 with four homers, seven doubles, and 17 RBI. On the mound, relievers Jeff Beliveau (’08) and Ryan Searle (’08) have thrown well in Daytona, Beliveau with a 0.57 ERA in 15 innings and Searle a 1.10 ERA in 16 innings. At Class A, Peoria manager Casey Kopitzke (’09 manager) has been blessed by the starts of Greg Rohan (’09) and Micah Gibbs (’10) – Rohan hitting .357 with three homers, 10 doubles, and 21 RBI, while Gibbs has found the stroke that eluded him last season, hitting .375 and currently riding a 10-game hit streak. Austin Kirk (’09/’10) looks to have a chance for a call-up to Daytona, going 2-1 with a 2.28 ERA in his first five starts. 17 former Hawks are still in Extended Spring Training – including Kyler Burke (’07/’08), who tossed a 1-2-3 inning in his first outing as a pitcher in Mesa. Angel Guzman (’01) and Jon Nagel (’09) are both also down on rehab assignments. On the Independent front – seven former Hawks have signed contracts for 2011 – including Drew Rundle (’07/’08) with Florence in the Frontier League, James Leverton (’08) with New Jersey in the Can-Am League, and Jon Hunton (’04) with Grand Prairie in the American Association. Two others have started their Indy seasons in the Atlantic League – Chris Walker (’02/’03) with York and Carlos Vasquez with Camden.